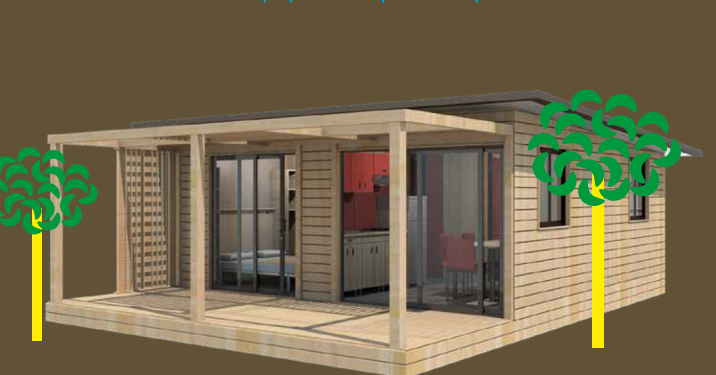 Mobile Home: Recent addition, with sheltered terrace and reversible air conditioning. 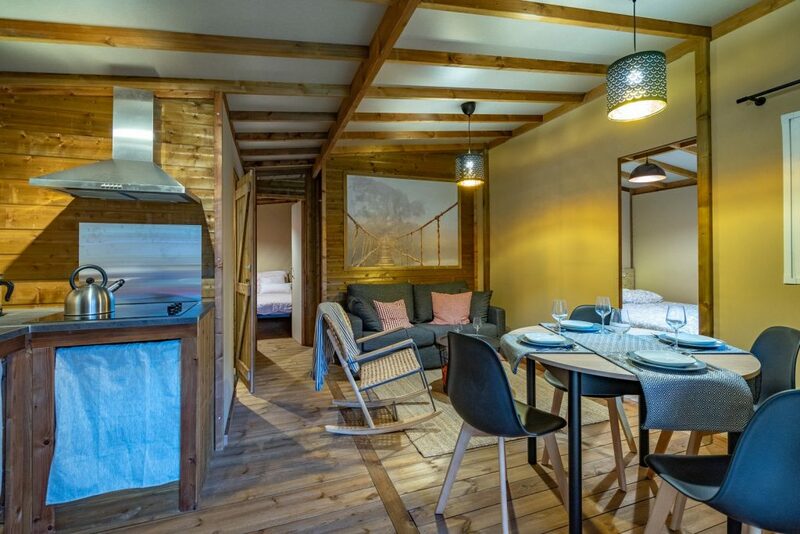 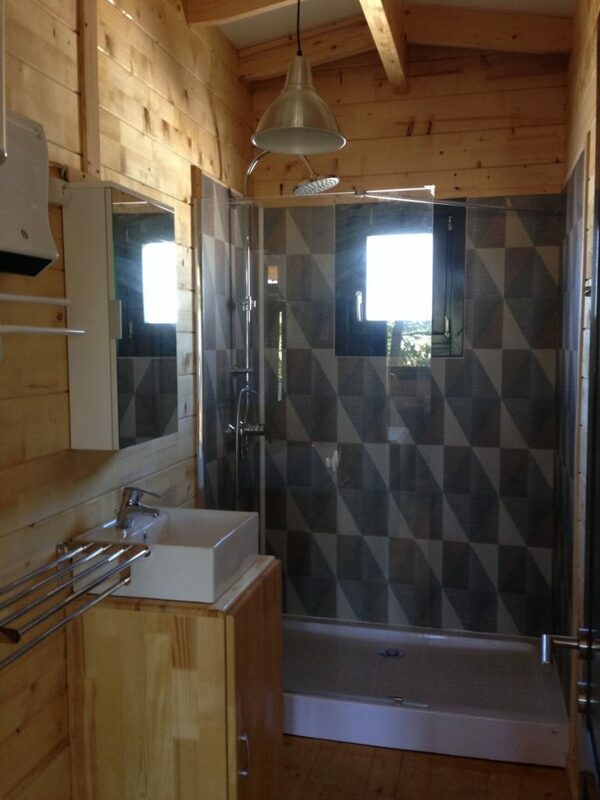 Chalet Bioclimatique: 100% wooden log cabin with bioclimate: 2 and 3 rooms for 5 to 8 people, modern and comfortable following an innovative design, with respect for its surroundings, so you can spend your holiday in a lovely and comfortable atmosphere. 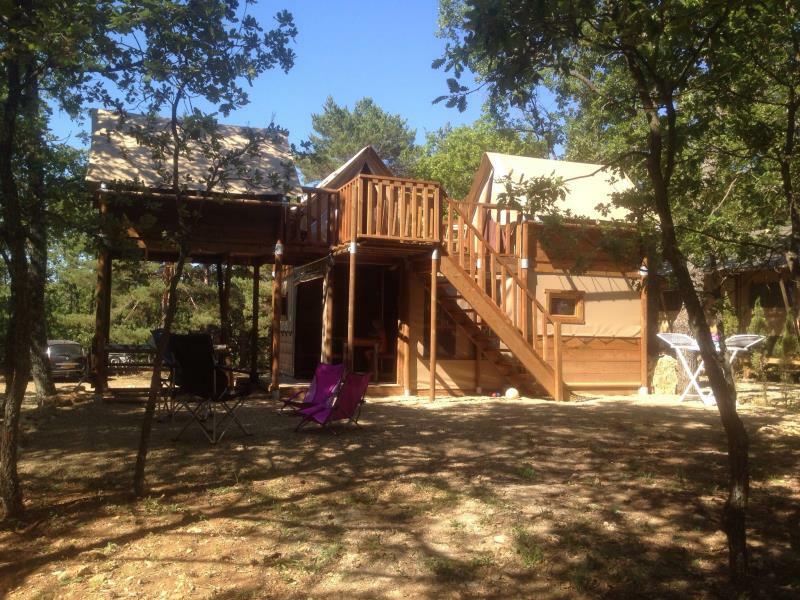 Chalet Ottawa: Elegant and functional 3 bedroom cottage for a family friendly holiday with friends. 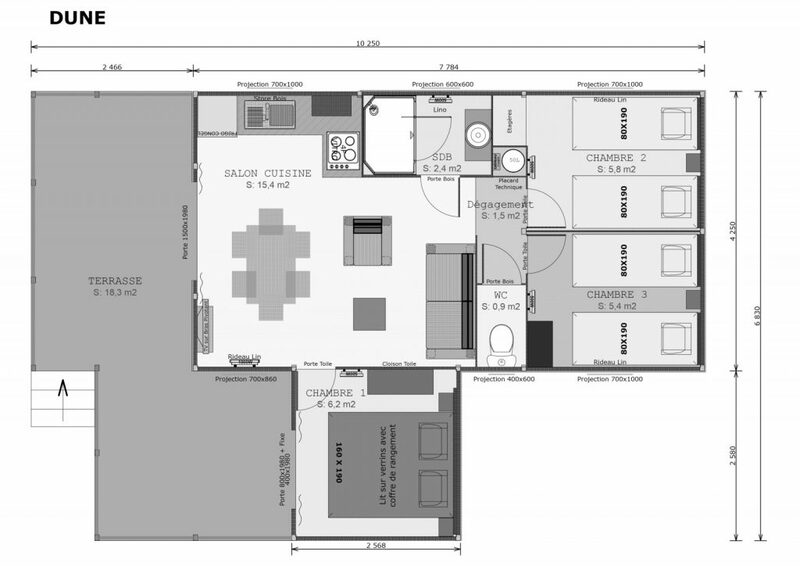 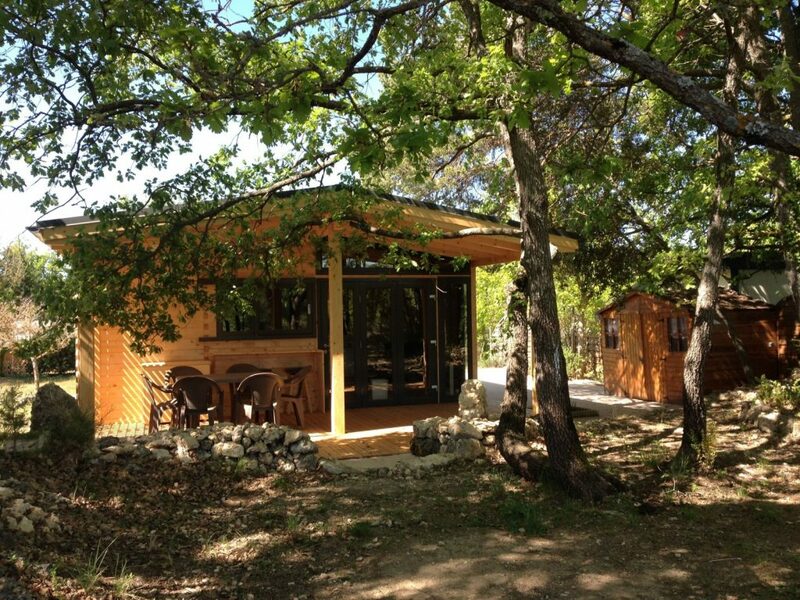 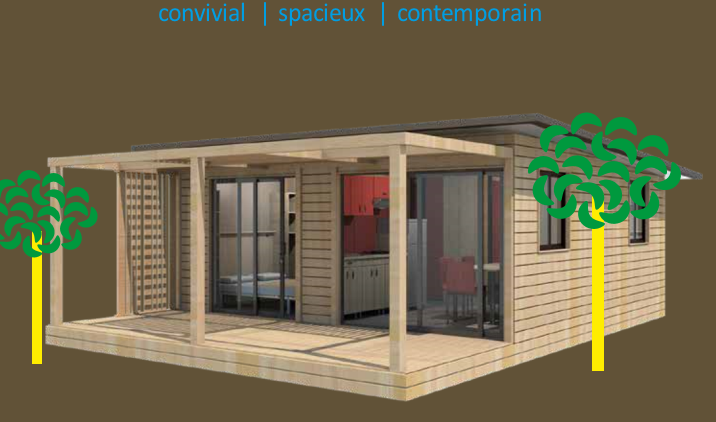 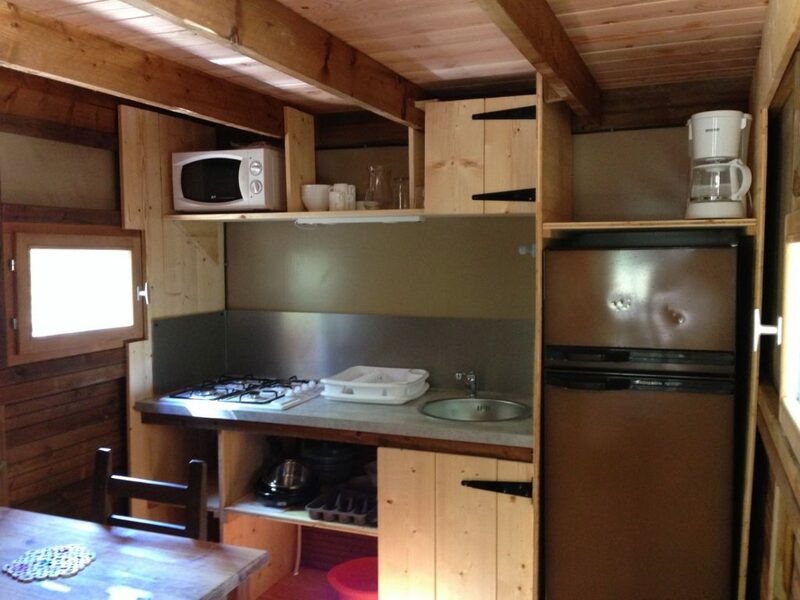 The Ecolodge: 3 bedrooms, spacious, mix of authenticity and modernity. 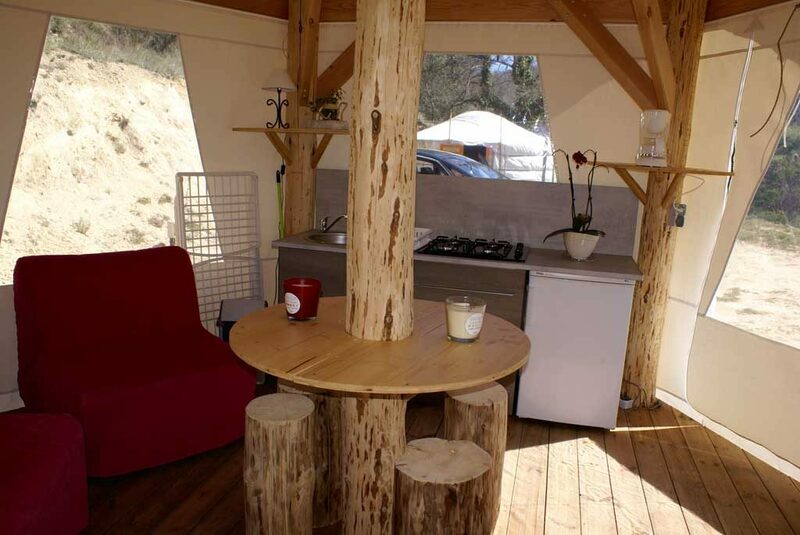 Blend of canvas and wood, all isolated for maximum comfort and well being! 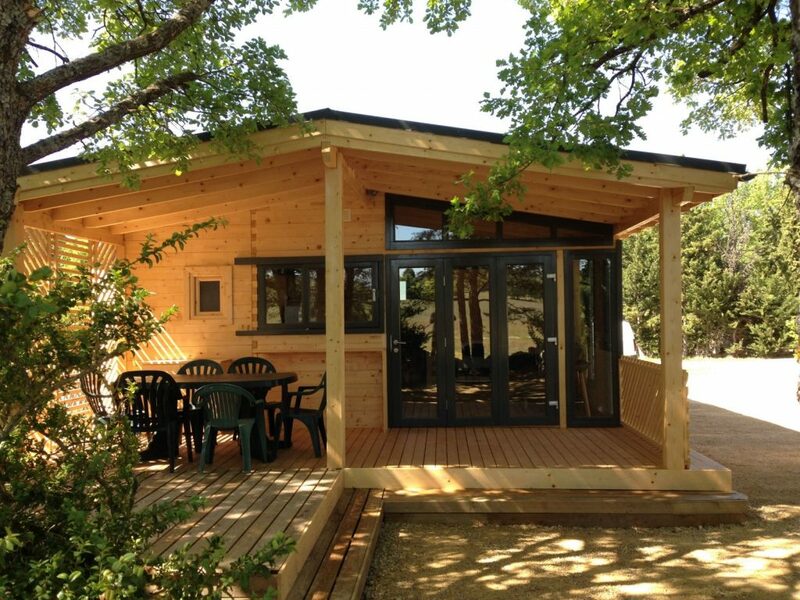 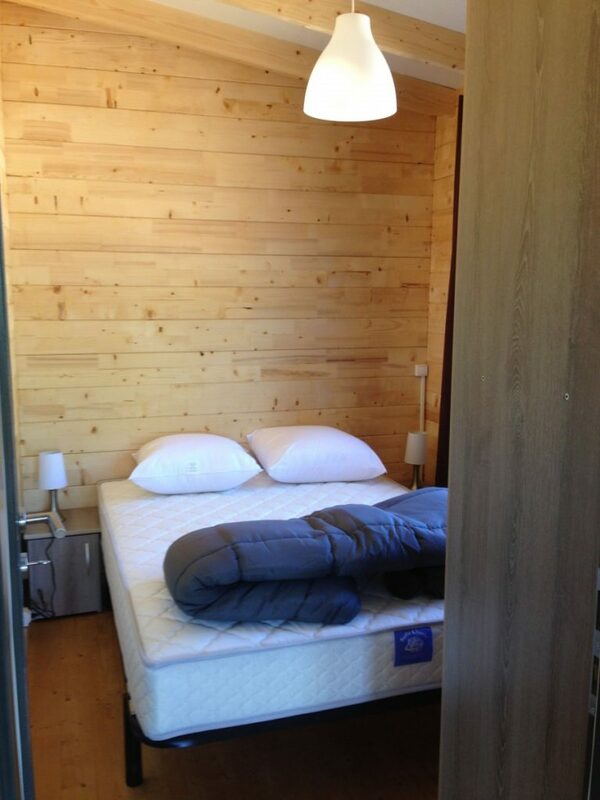 The Cabane Lodge: An unusual accommodation, which will offer you plenty of fun! 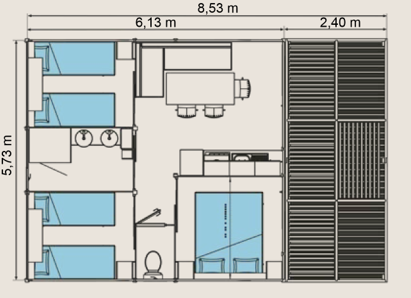 3 separated rooms for maximum comfort with a private terrace, which reaches into the heights of the trees. 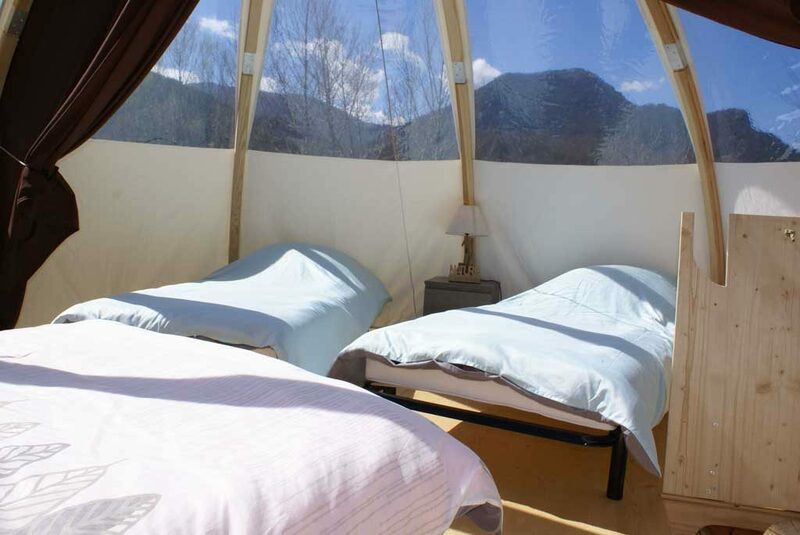 Tente Woodlodge: Glamping accommodation in Out of Africa fashion, as close to nature as possible, as comfortable as possible. 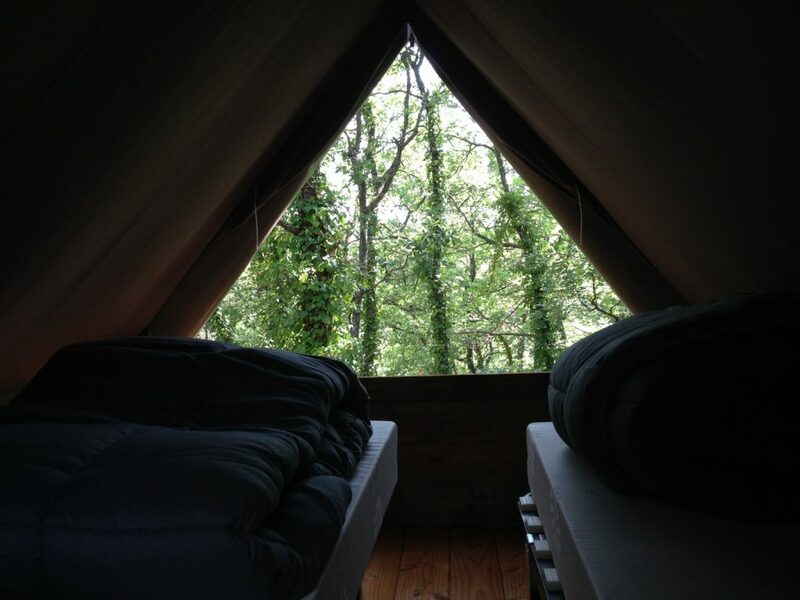 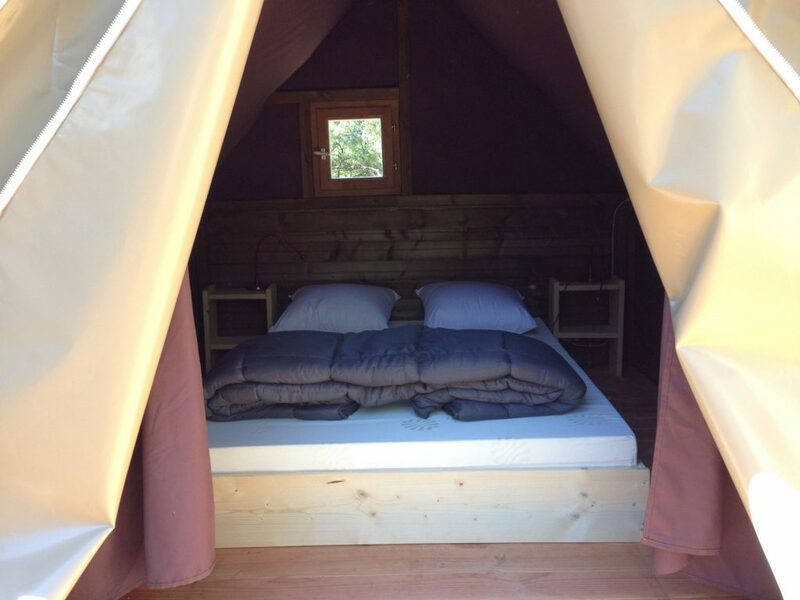 The nid: Appropriate for a couple or with friends, a perfect accommodation for when you want to make a hike through the Verdon or if you want to spend a worriless holiday. 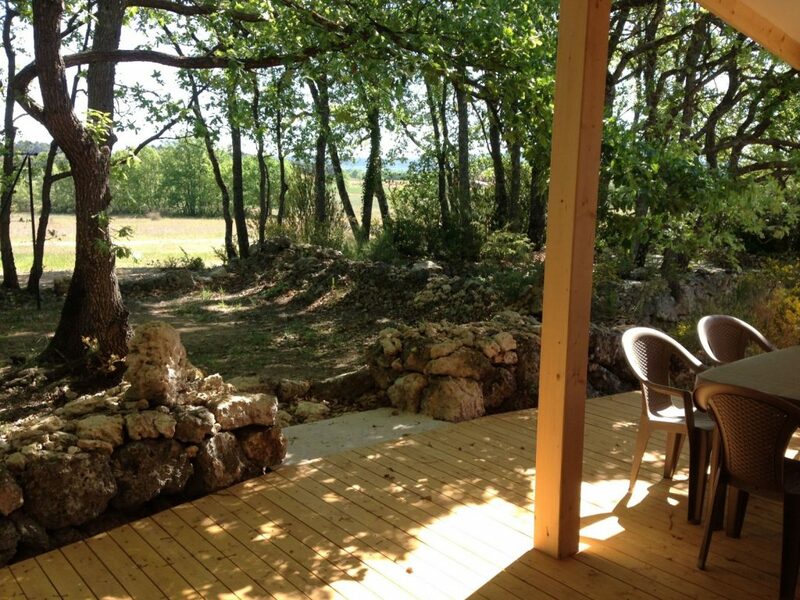 Le Firmament: An unusual residence, which gives you the oppurtunity to see the beautiful night sky from the comfort of your living room, with its many stars, the Milky Way… In the Provence! 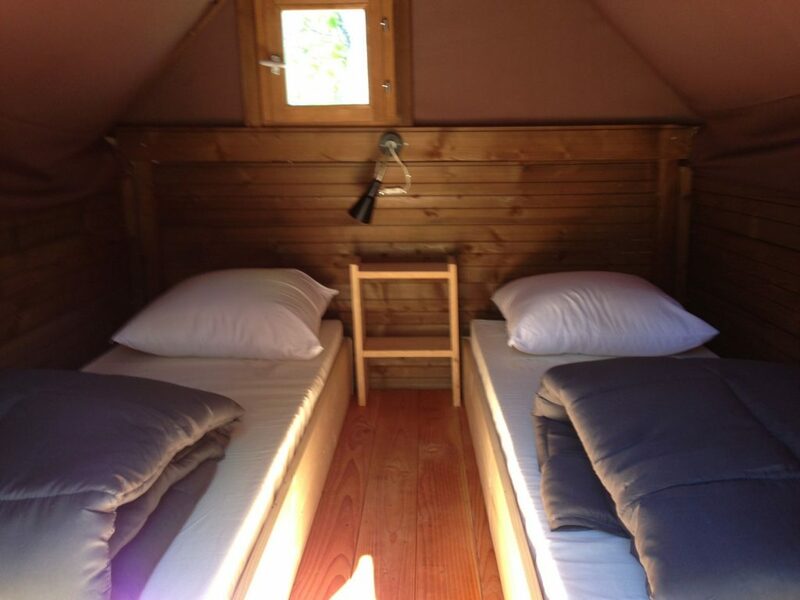 In July / August: Lease of accomodations from Saturday to (the next) Saturday. 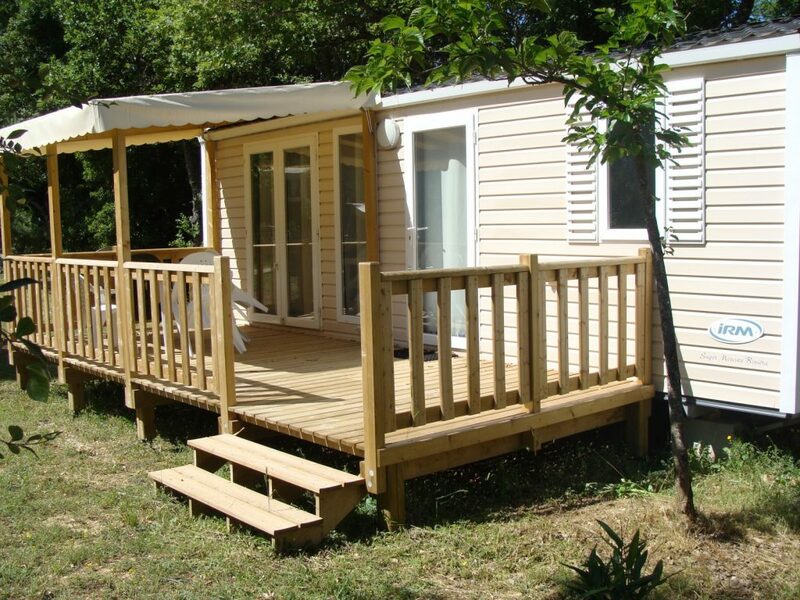 In other months: Lease and duration/arrival/departure, adapted to your wishes. 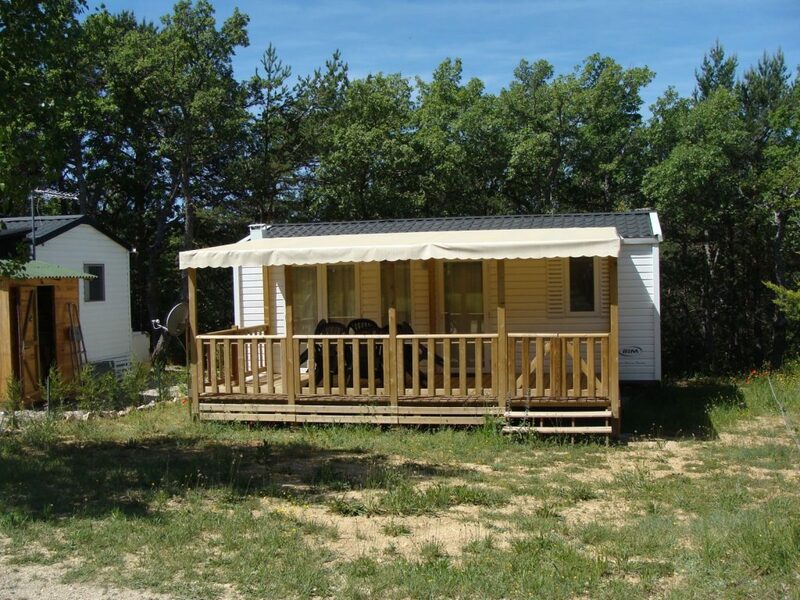 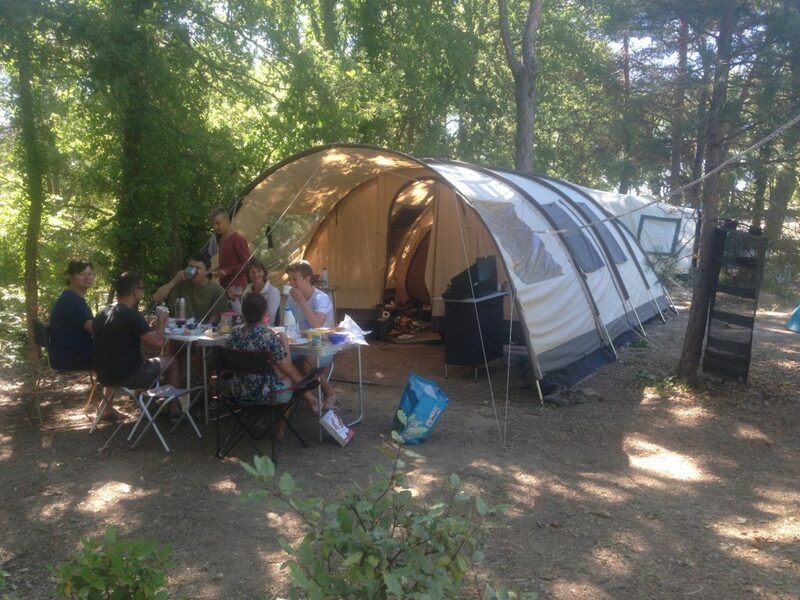 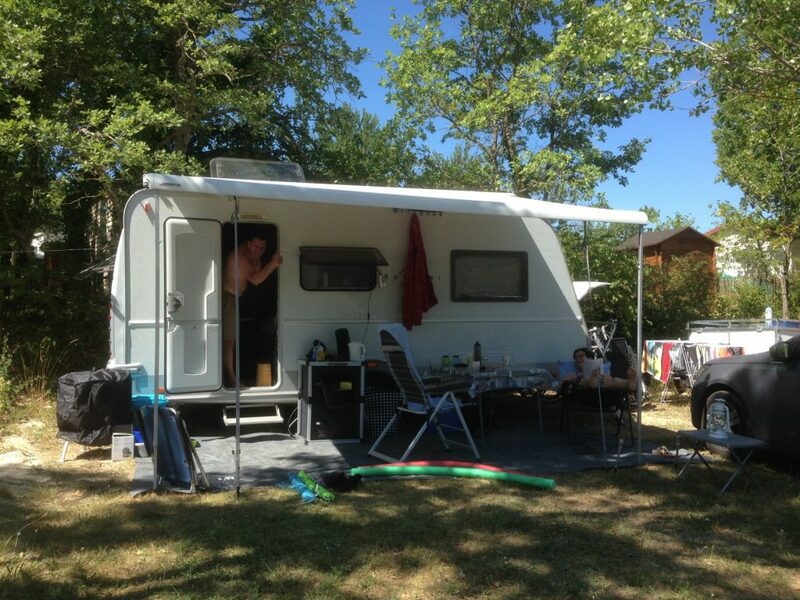 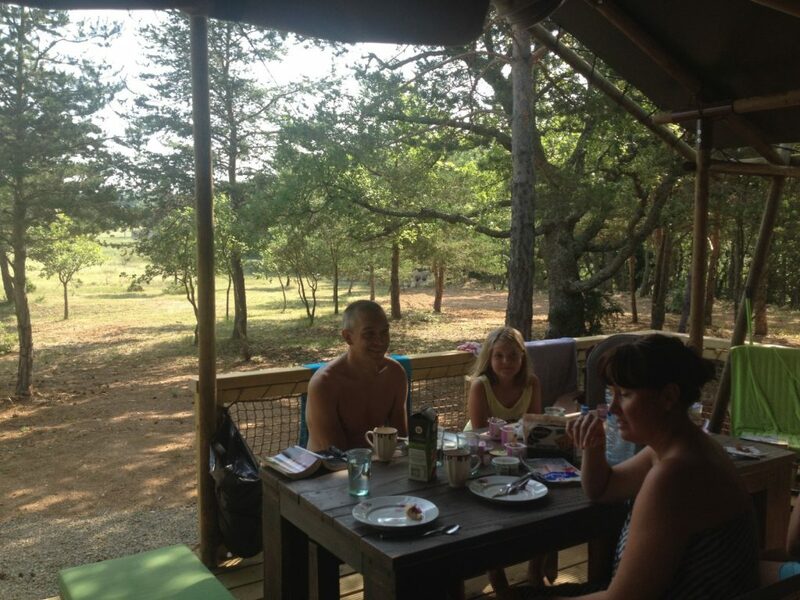 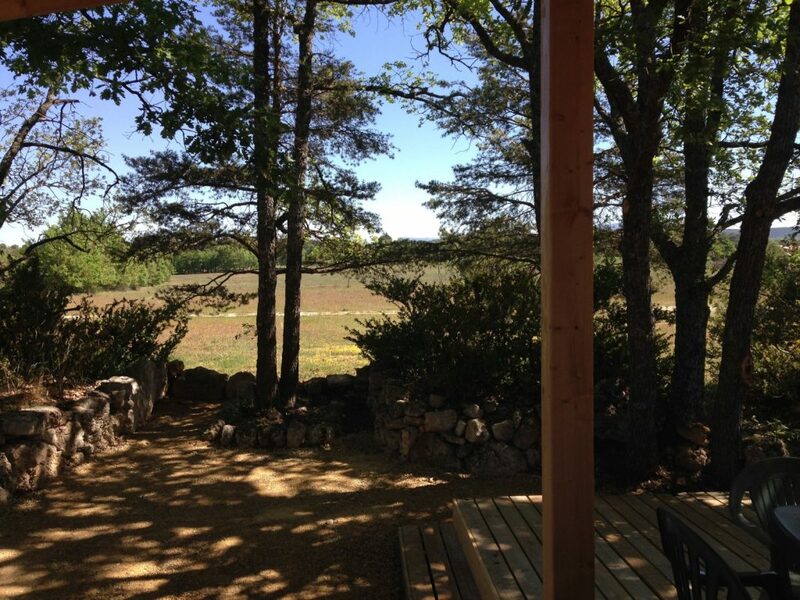 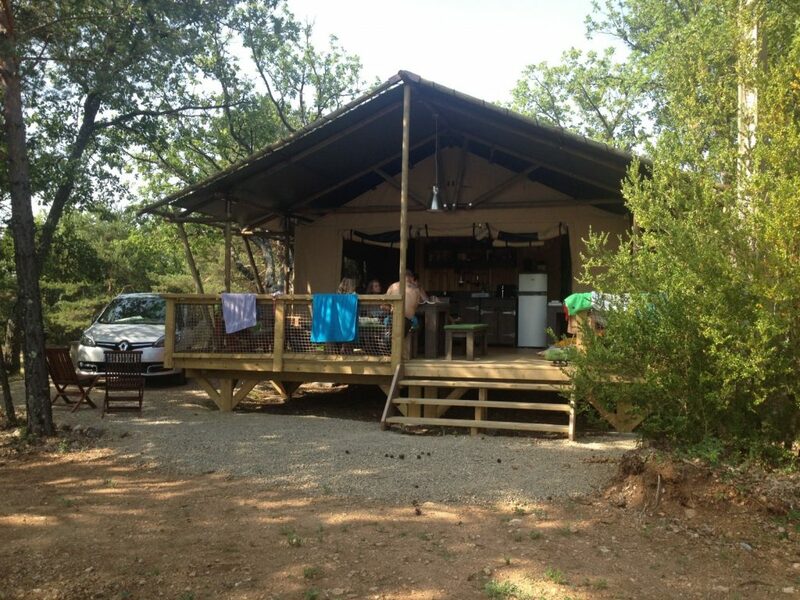 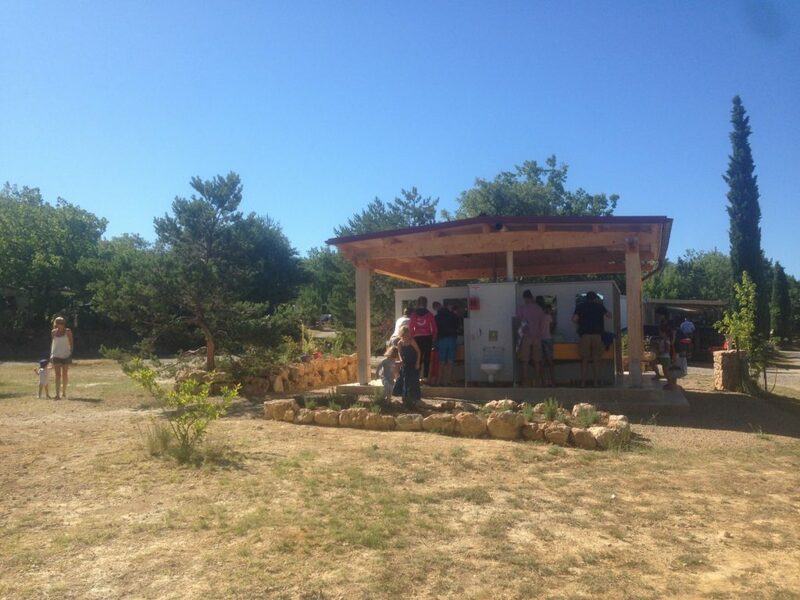 The camping ‘Avelanède’ is an old agricultural area of 12 hectare big in the community of Artignosc-sur-Verdon, 5 km away from the river Verdon, which forms the natural boundary between the Var and the Alpes de Haute Provence. 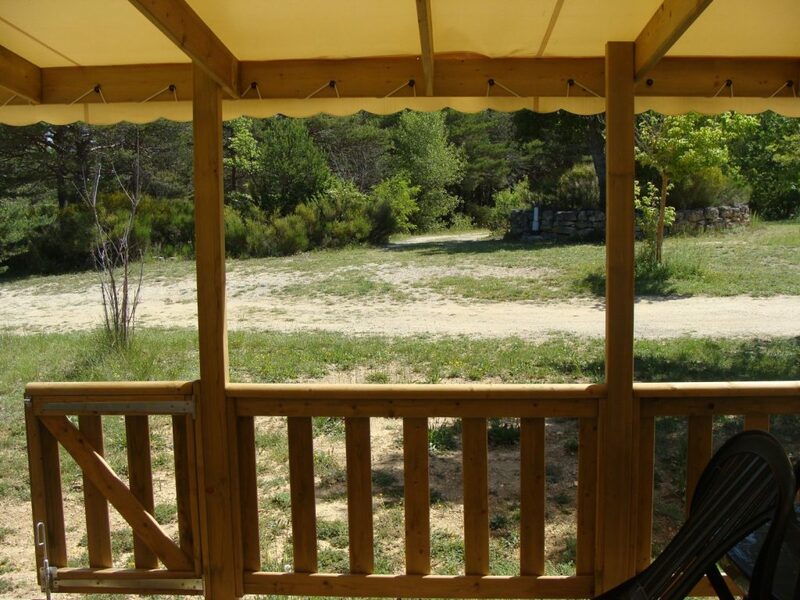 The terraces have either been placed in the pinewood forest, against the hillside or underneath the trees. 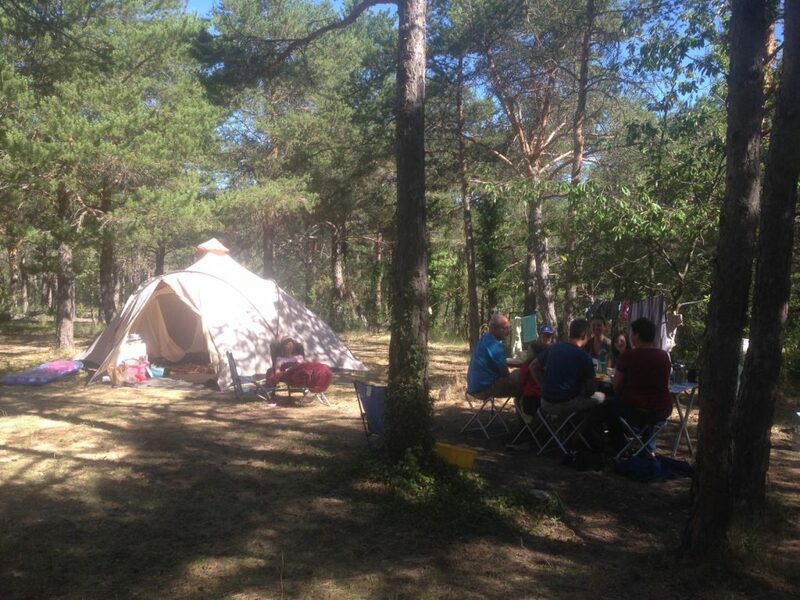 During the last 35 years, trees are being planted, so the camping sites can offer more privacy and comfort in a more natural surrounding. 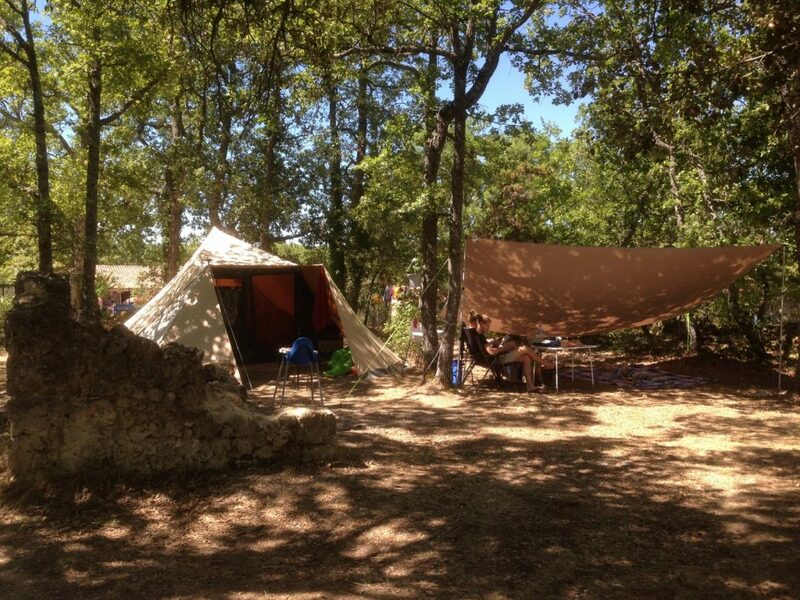 The camping presents a wide variety of landscapes, which are all typical for the Provence and the Haute Provence de Giono, which form the natural park of the Verdon. 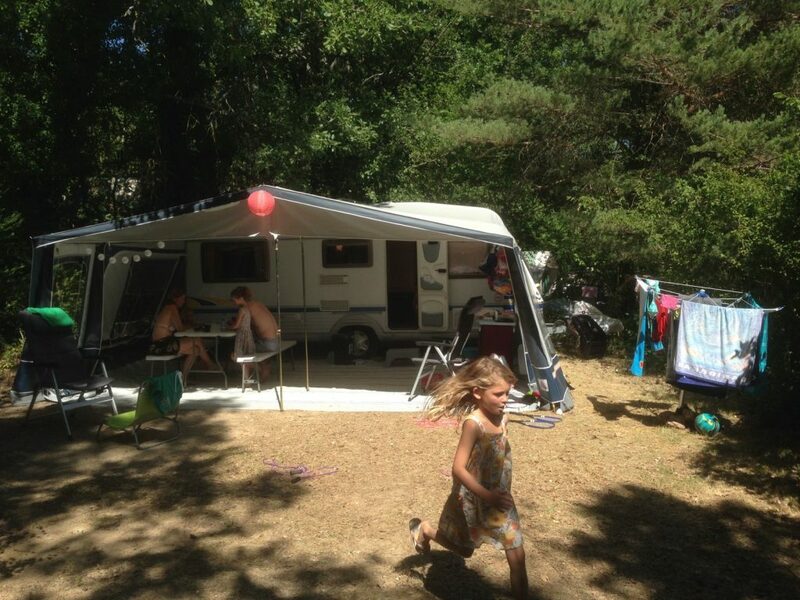 The camping sites are big, 100 m2 on average. 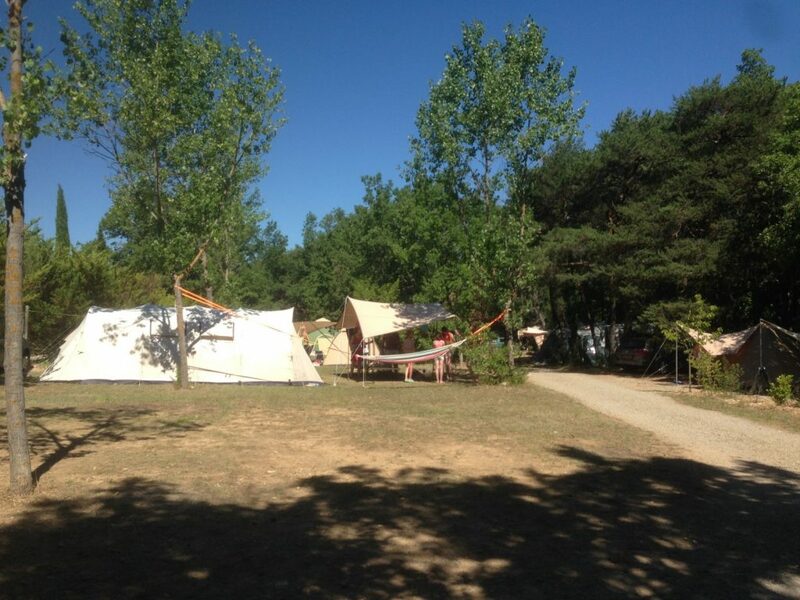 Most sites are rectangular, separated, flat areas with grass (in August, grasses often grow in the mediterranean climate)There are also different camping sites, less regular and further away from the facilities. 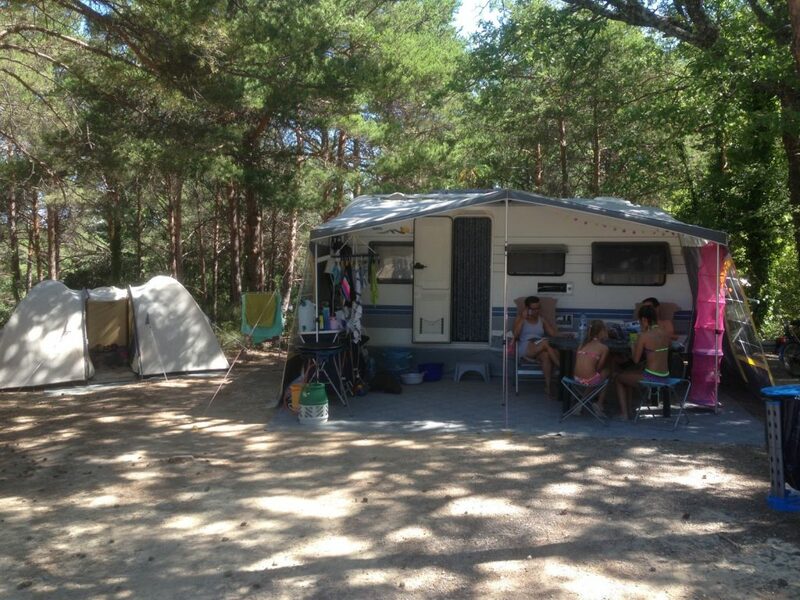 Some sites give the impression of camping in the wild, even in the busiest season. 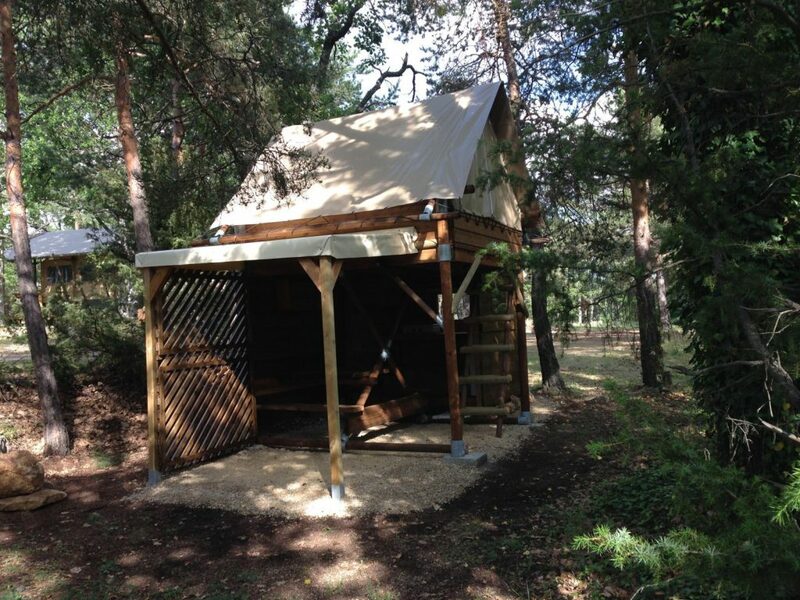 The Cabane Lodge: An unusual accommodation, which will offer you plenty of fun! 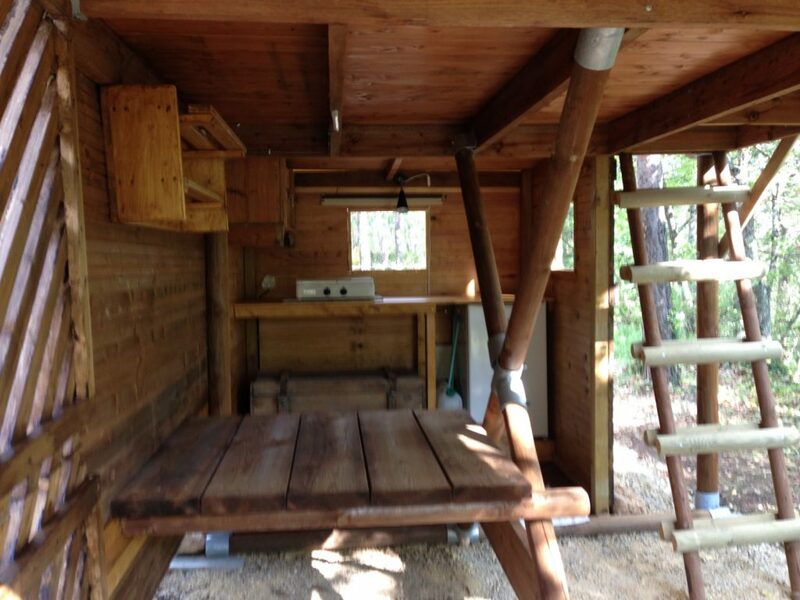 3 separated rooms for maximum comfort with a private terrace, which reaches into the heights of the trees. 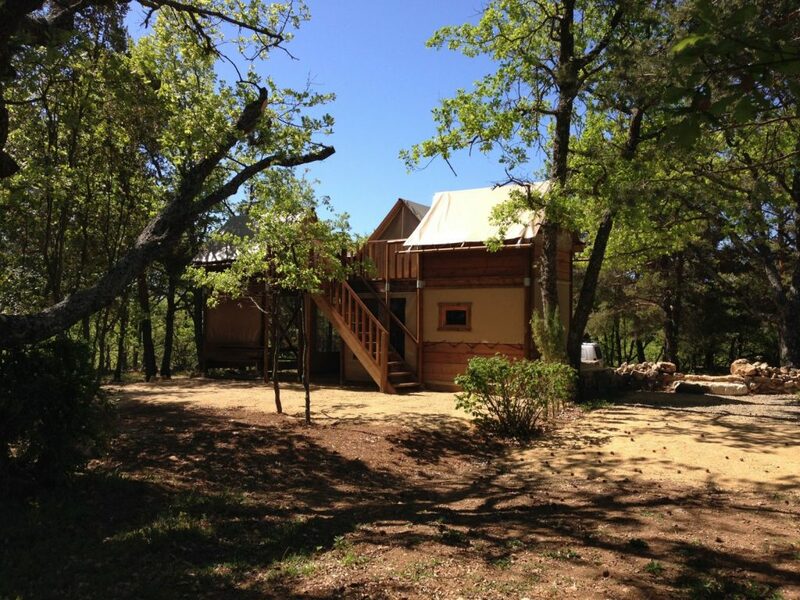 Can be leased 11 months per year. 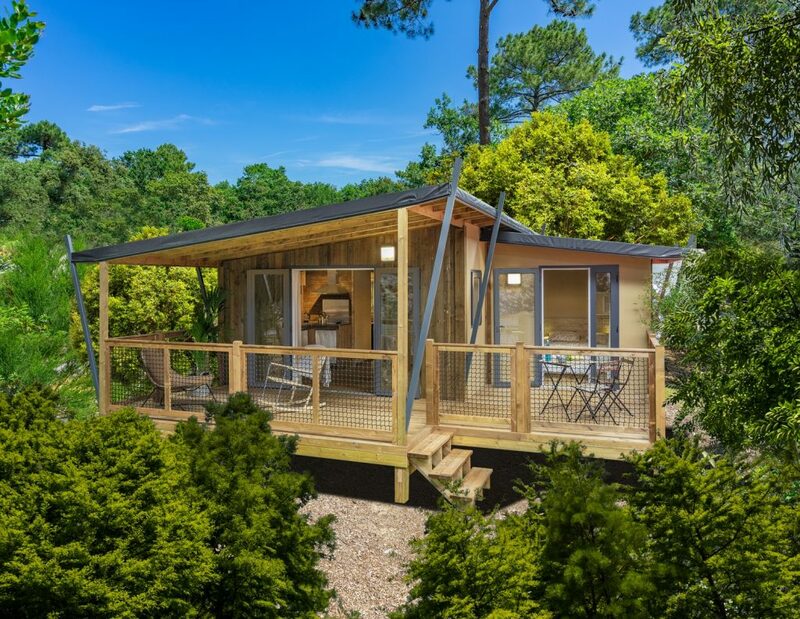 New 2017, an unusual residence, which gives you the oppurtunity to see the beautiful night sky from the comfort of your living room, with its many stars, the Milky Way… In the Provence! 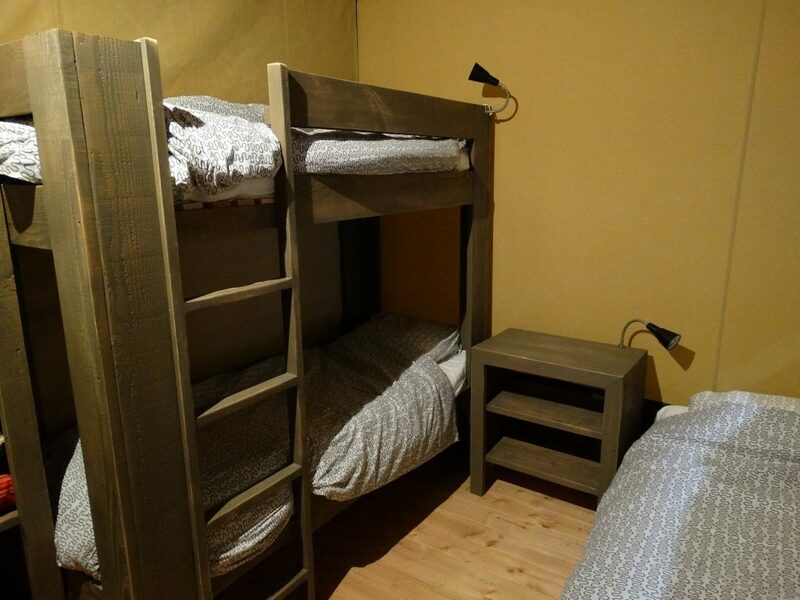 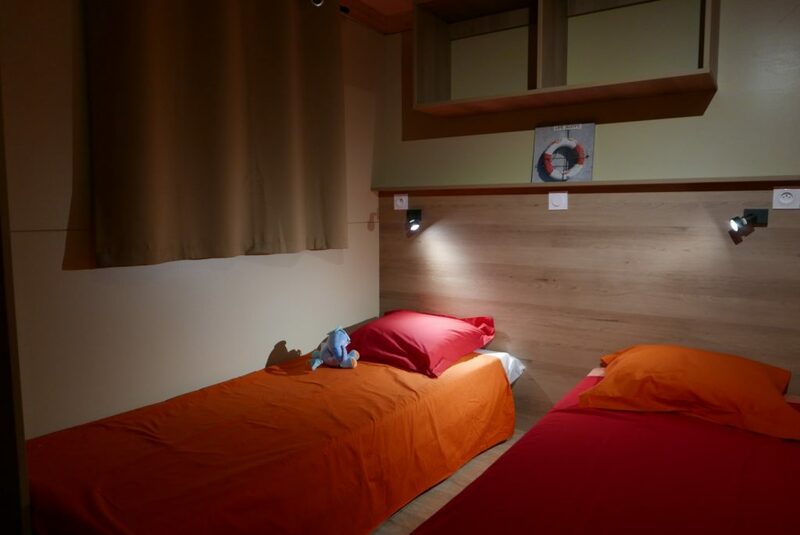 Appropriate for a couple or with friends, a perfect accommodation for when you want to make a hike through the Verdon or if you want to spend a worriless holiday. 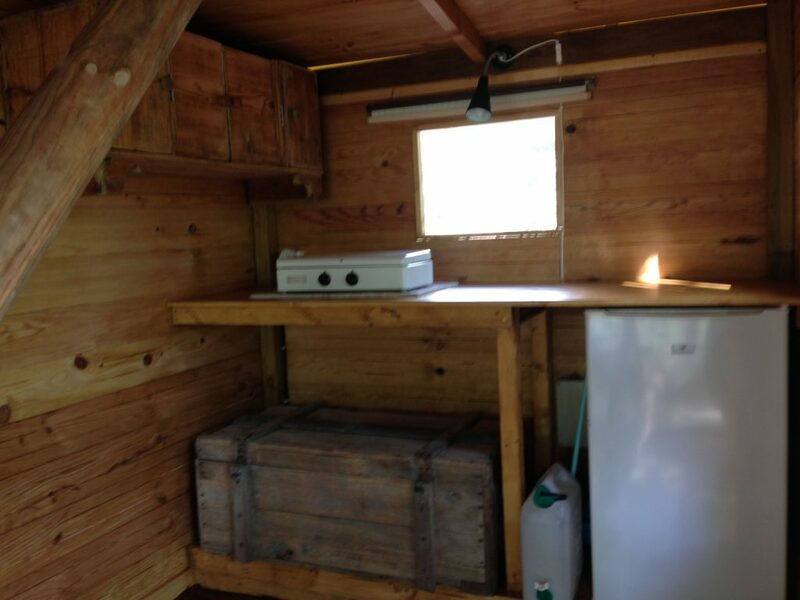 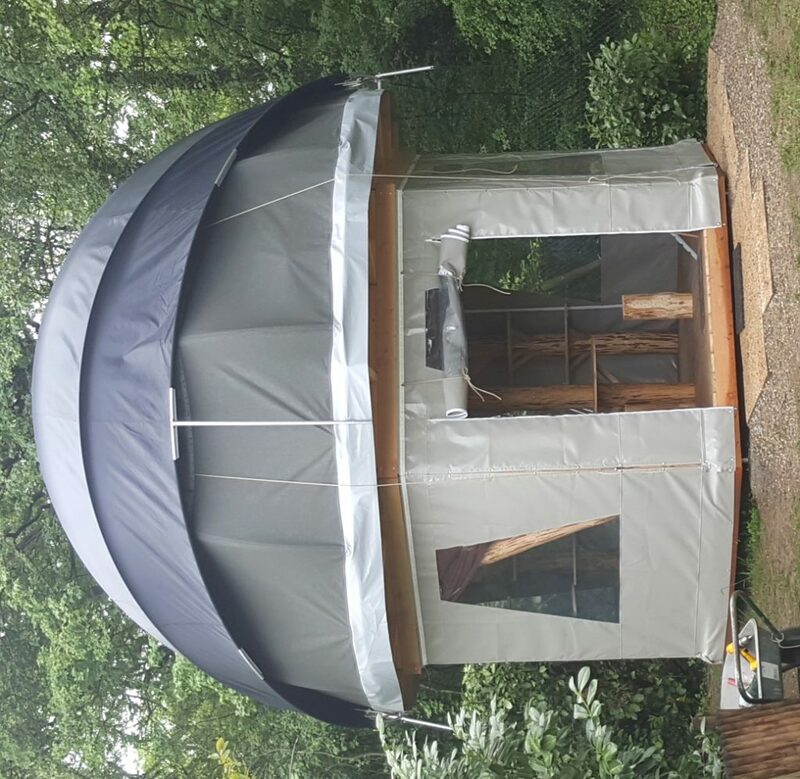 Recent addition, with sheltered terrace and reversible air conditioning. 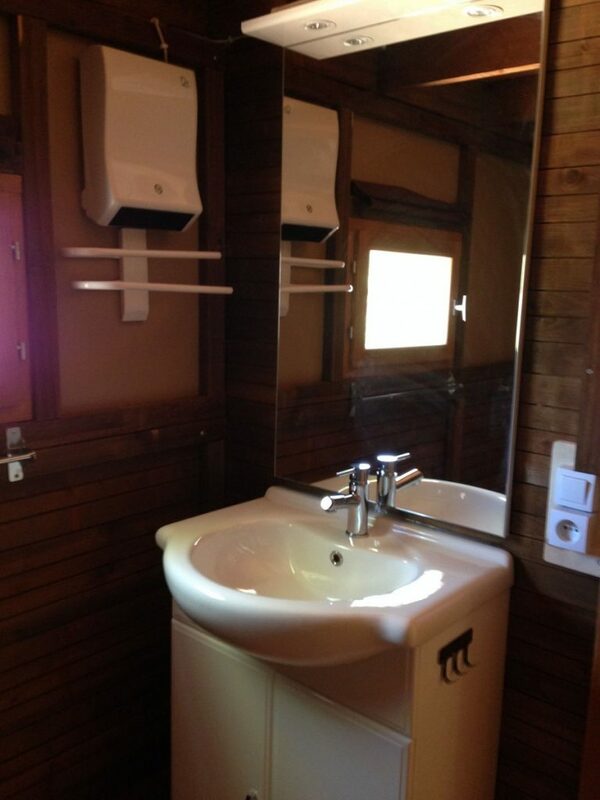 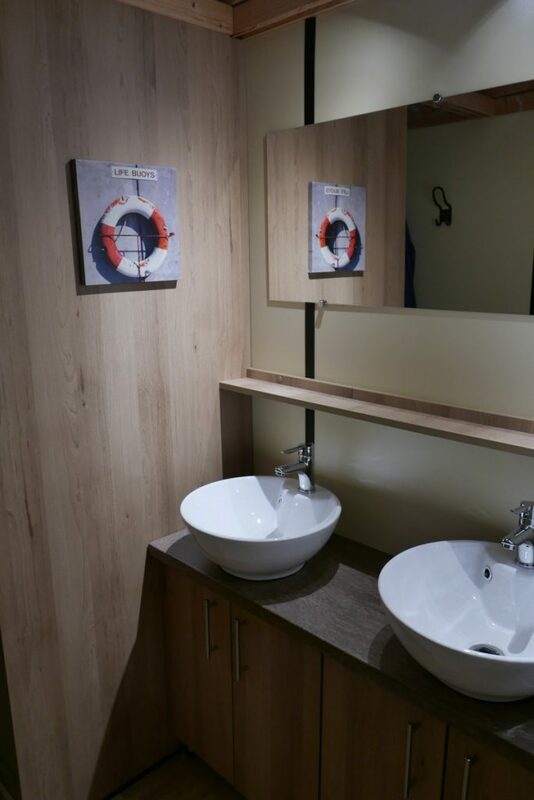 Toilets and bathroom separed. 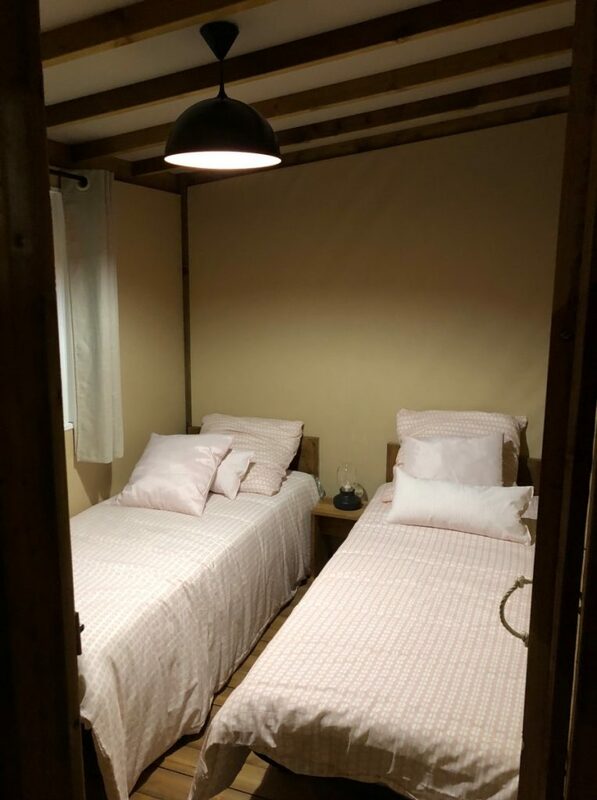 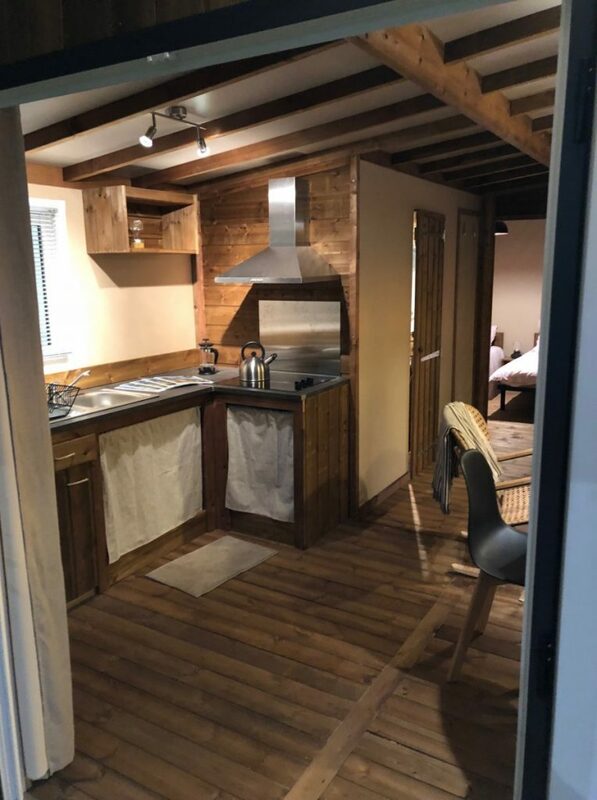 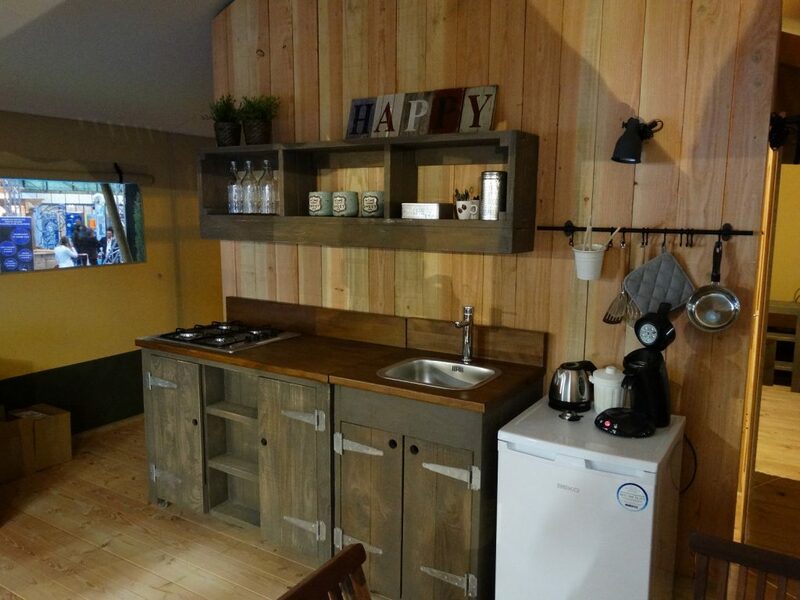 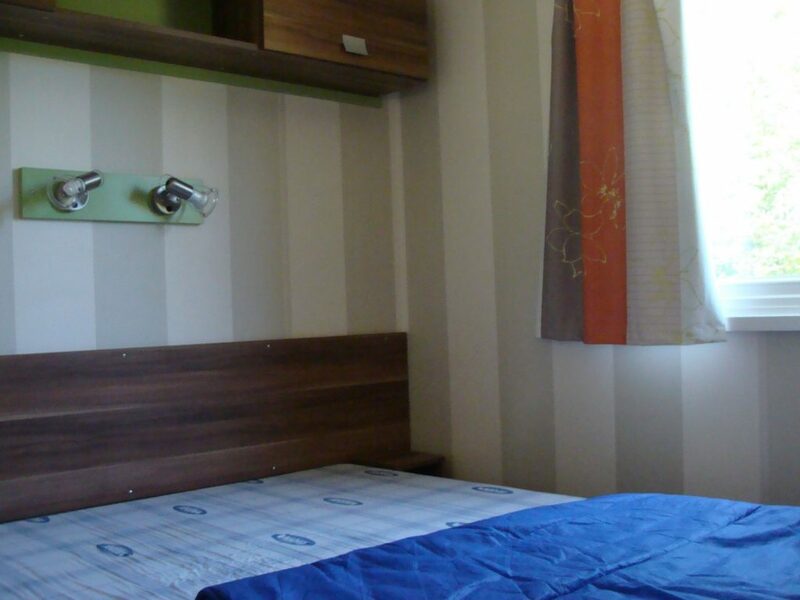 100% wooden log cabin with bioclimate: 3 rooms for 6 to 8 people, modern and comfortable following an innovative design, with respect for its surroundings, so you can spend your holiday in a lovely and comfortable atmosphere. 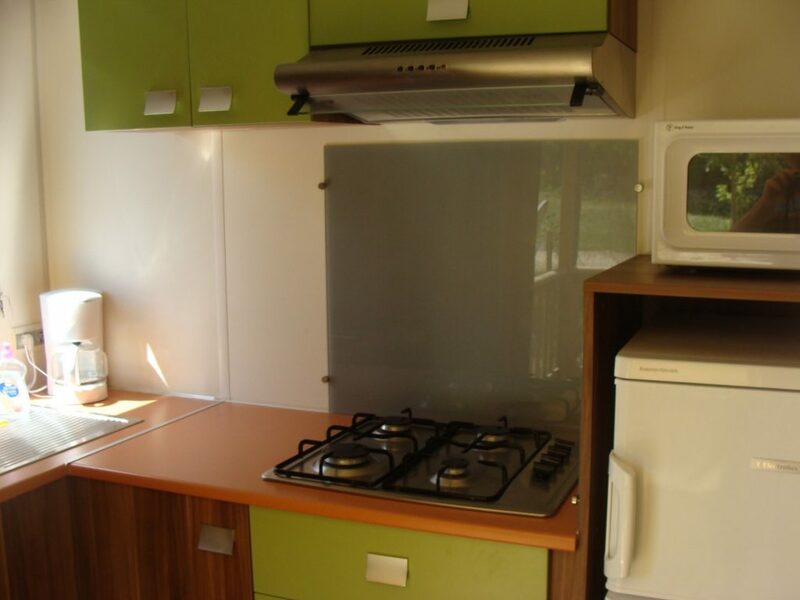 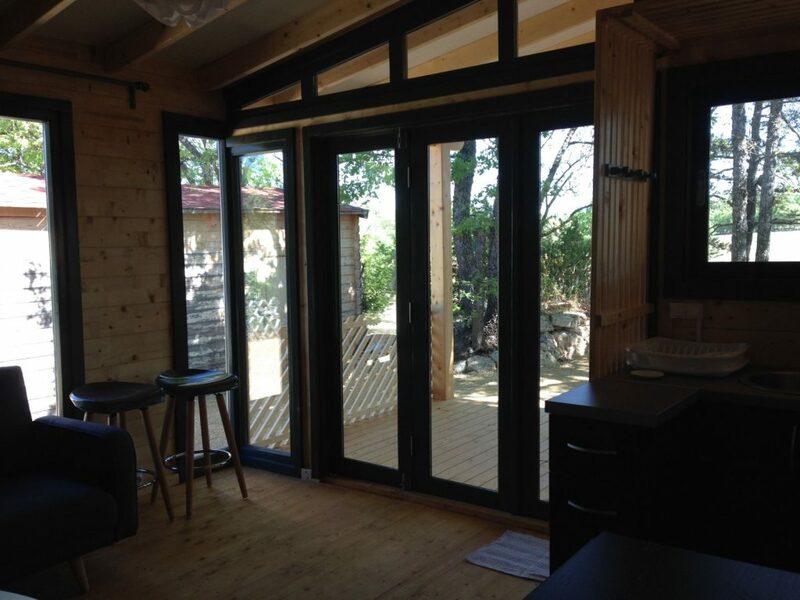 The 3 bedroom Ecolodge is spacious, mixing authenticity and modernity. 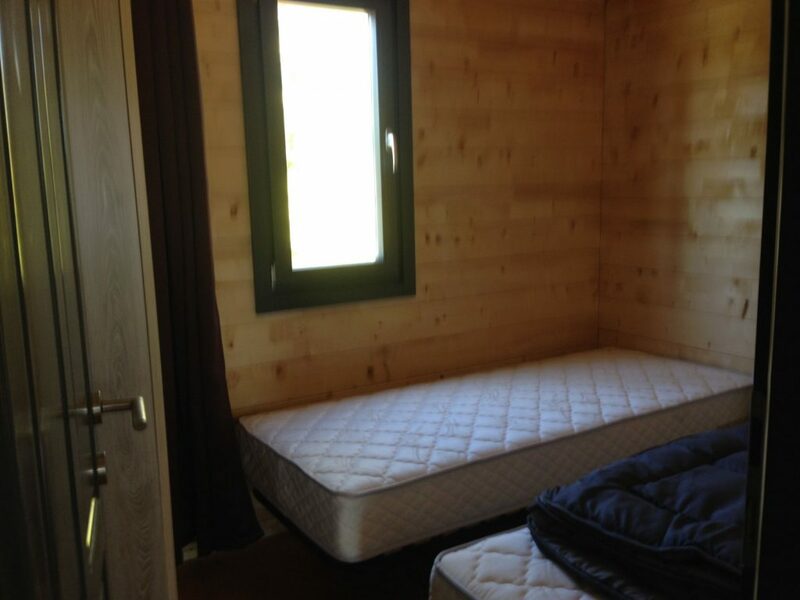 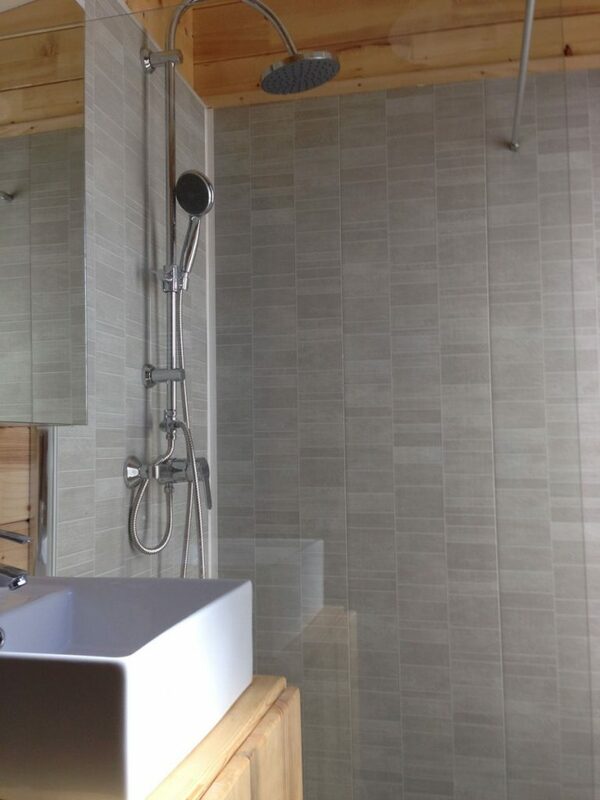 Savant blend of canvas and wood, all isolated for maximum comfort and well being! 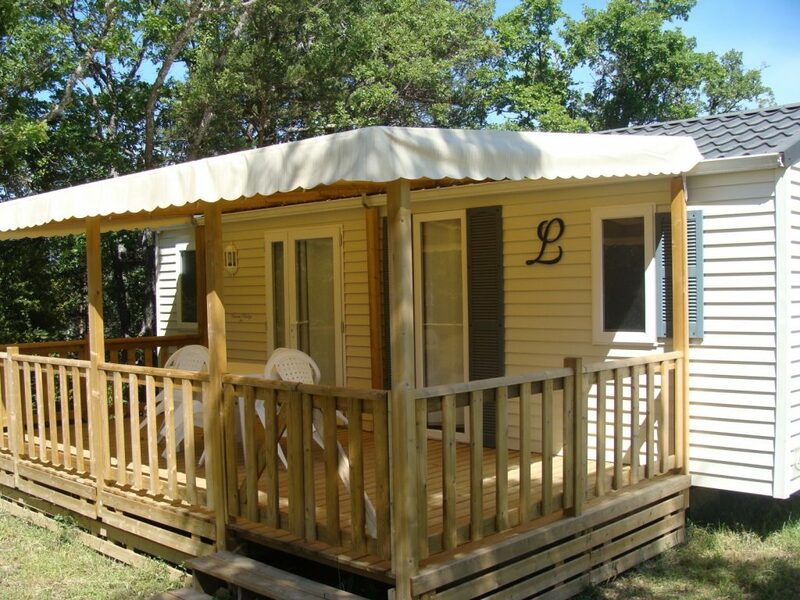 The Ottawa is a stylish and functional 3 bedroom cottage for a family friendly vacation with friends. 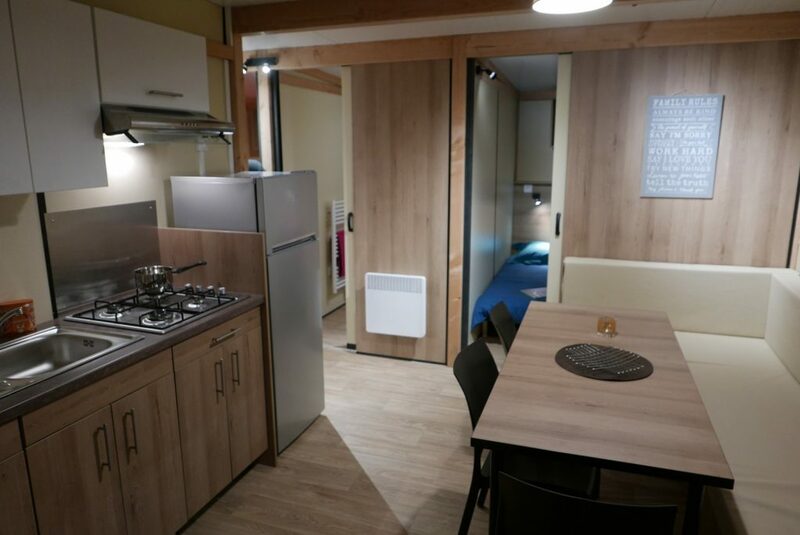 100% wooden log cabin with bioclimate: 3 rooms for 5 to 7 people, modern and comfortable following an innovative design, with respect for its surroundings, so you can spend your holiday in a lovely and comfortable atmosphere.